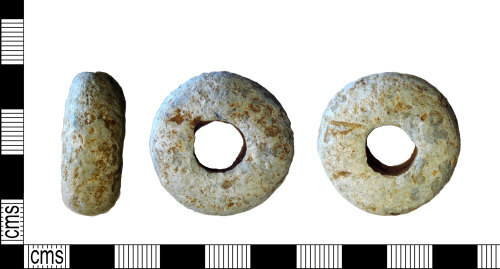 Early Medieval lead alloy spindle whorl, 29mm in diameter, 12mm thick and weighs 55.16grams. The object is circular in form and has curved sides. It fits Walton Rogers class B2 and has an aperture of c 8mm, which suggests and early to middle Saxon date.